Discussion in 'iPhone and iPad Games' started by peaksel, Aug 9, 2016. Adopt talking puppy Charlie & get a talking friend for life! Discover why this my virtual pet game is special in so many ways! My Talking Dog 2 – Virtual Pet, aka Charlie II is the heir of My Talking Dog – Virtual Pet who has over 10 million followers and he is here to reign the world of talking animals with you! Join the fun, don't miss out! Help your talking friend create a perfect world of his own – customize his fashion style, hair, the interior design of his home and play incredibly cute mini games with him meanwhile. Besides just playing with your virtual pet Charlie II, you have to feed him, bathe him, brush his teeth, take him to the rest room, take care of him when having a cold and help him fall asleep. This talking dog deserves royal treatment and you are the one who can do it better than anyone else! You'll also be the one he will grow up with as his best friend! - 10 addictively fun mini games: Catch the Puppy, Banana Mania, Dog vs. Cat, Dog Coloring Game, Jumping Puppy, etc. Virtual pet games with talking animals such as talking cat are so cute and popular, but remember who the man's best friend is. Charlie II is the kind of a talking puppy that will melt people's hearts with his cuteness. You just cannot resist adopting him and raising him as your own. 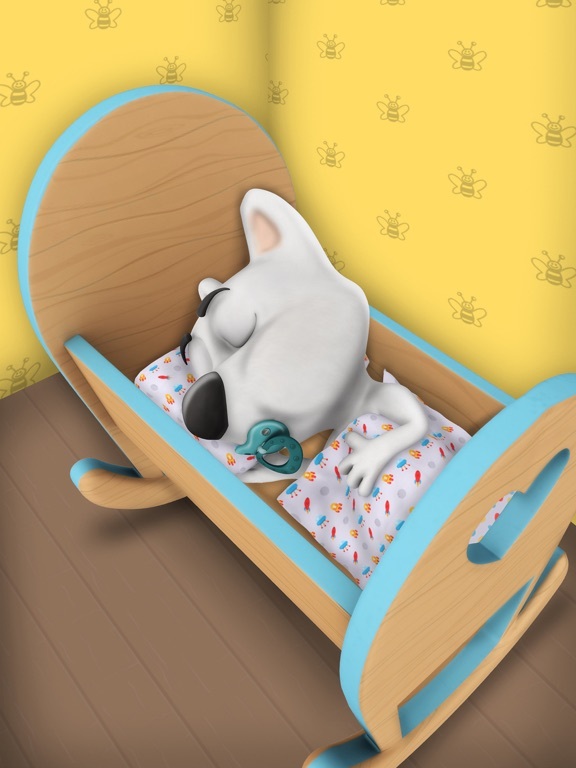 Remember, this adorable virtual pet is not just another dog game for kids. It grows on you as it grows with you. Get My Talking Dog 2 – Virtual Pet today. Adopt talking puppy Charlie & get a talking friend for life! Discover why this my virtual pet game is special in so many ways! 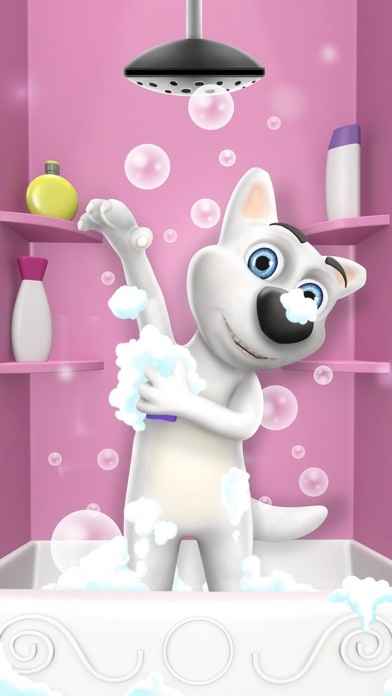 My Talking Dog 2 – Virtual Pet, aka Charlie II is the heir of My Talking Dog – Virtual Pet who has over 10 million followers and he is here to reign the world of talking animals with you! Join the fun, don't miss out! Playing talking games has always been fun. This talking game is more than just that. 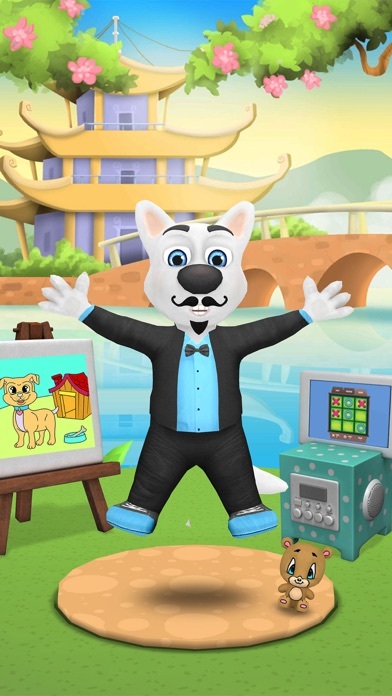 EXPLORE THE EXCITING WORLD OF VIRTUAL PETS Help your talking friend create a perfect world of his own – customize his fashion style, hair, the interior design of his home and play incredibly cute mini games with him meanwhile. Besides just playing with your virtual pet Charlie II, you have to feed him, bathe him, brush his teeth, take him to the rest room, take care of him when having a cold and help him fall asleep. This talking dog deserves royal treatment and you are the one who can do it better than anyone else! You'll also be the one he will grow up with as his best friend! 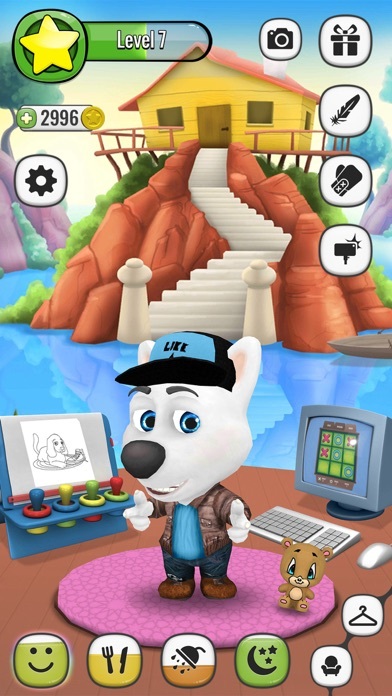 FEATURES: - Talk to Charlie II and he will become the cutest talking puppy, repeating your words in a funny voice - 10 addictively fun mini games: Catch the Puppy, Banana Mania, Dog vs. Cat, Dog Coloring Game, Jumping Puppy, etc. - Feed Charlie II when he's hungry - Health, Energy & Sleep potions - Touch sink to brush teeth - Advance through levels and watch your talking puppy grow into a big, beautiful dog - Collect coins to be able to buy clothes, decorations and potions for your virtual pet - Change the interior of your puppy's home - 5 different rooms to decorate and play in - Play dress up games to find the perfect combination for your talking friend SHOUTOUT TO ALL THE CARING PARENTS OF THE WORLD You have certainly realized so far that My Talking Dog 2 – Virtual Pet is not just another dog game. 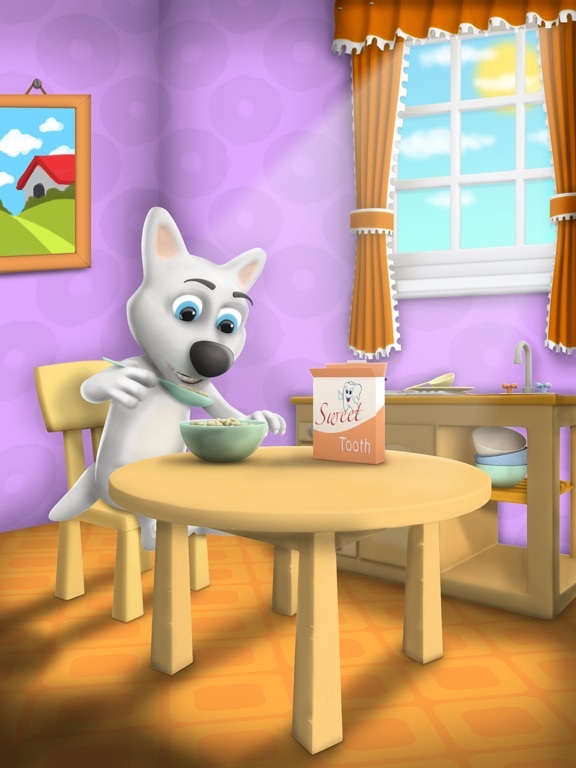 Get a my virtual pet game for your child and check if they are ready for a real pet to take care of. 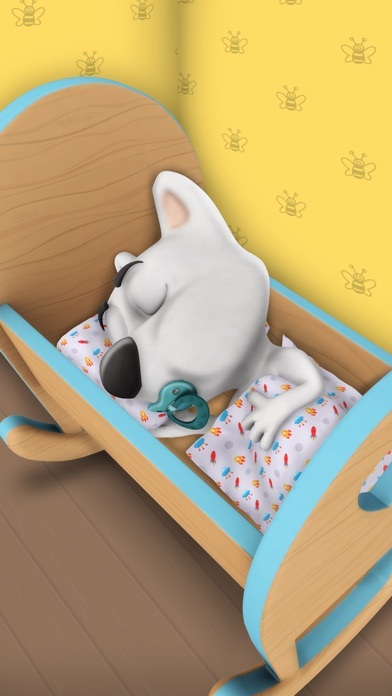 Virtual pet games like talking puppy, talking kitty cat or any of the talking animals will test your patience and caring skills and will show whether a cute baby dog should join your family. My virtual pet games do not only test you in patience and compassion, but they also develop the sense of empathy and responsibility for others. Talking games are not what they used to be; they are now tools for learning through play. 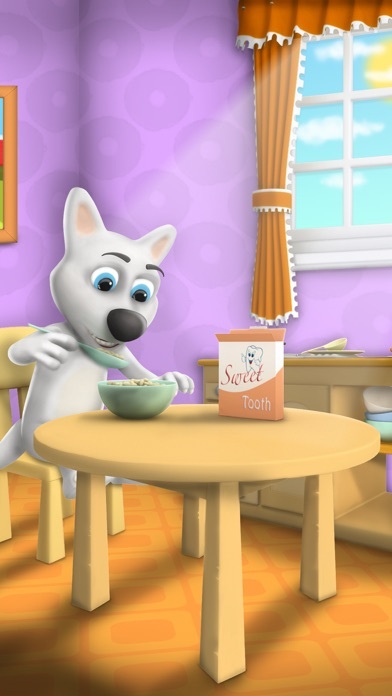 Get a cute talking animal for your kid. Have fun together! Virtual pet games with talking animals such as talking cat are so cute and popular, but remember who the man's best friend is. Charlie II is the kind of a talking puppy that will melt people's hearts with his cuteness. You just cannot resist adopting him and raising him as your own. Remember, this adorable virtual pet is not just another dog game. It grows on you as it grows with you. Get My Talking Dog 2 – Virtual Pet today. Heres a new, pink, fluffy monster! It is so round and cute you have to love it! 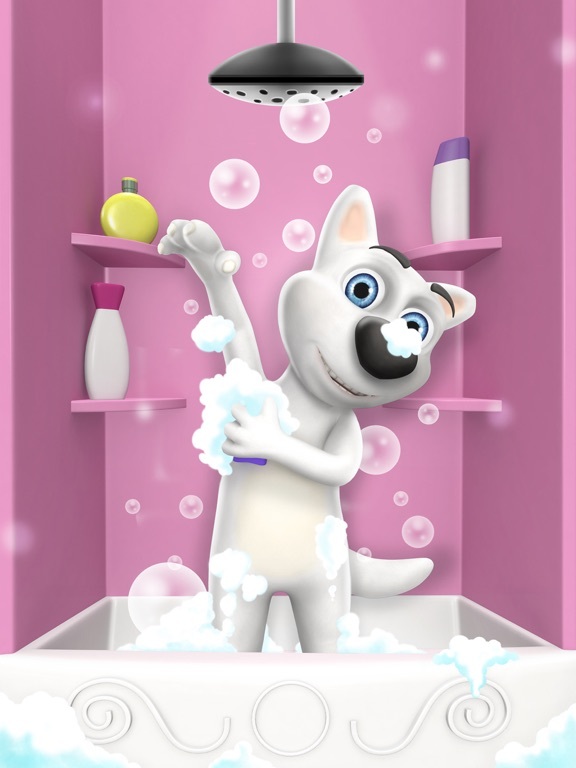 You can grow together with My Virtual Pet Bobbie, play mini games, bathe it, feed it, clean it, play with it. 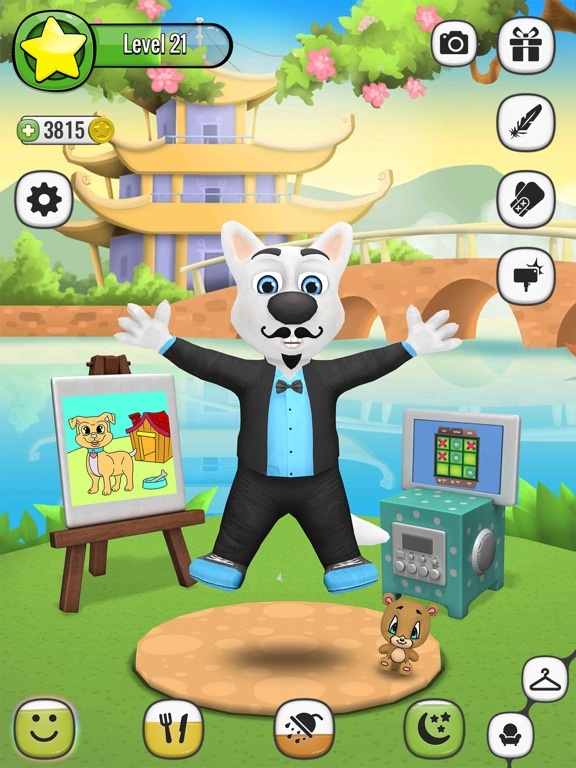 This virtual pet simply pushes you into being creative: play dress up games, put on a lot of colorful costumes, redecorate his living space the way you like it, and have endless fun while coloring the coloring pages for kids. Let us not reveal everything, just spend some time with Bobbie and enjoy! Sometimes it is all about keeping up with new trends… and we know how much you love PUGS! This time welcome your new virtual pet in a completely new surroundings: it’s My Virtual Pet Dog: Louie the Pug! He’s got swag, loves to do dress up and simply be adorable in his little green garden! This little fella is not a talking dog, but there are sweet things you can do with it, so let go and enjoy! This summer Emma the Cat took up gardening, and she looks super cute! Check out Emma the Gardener: Virtual Pet and reeeeeally enjoy while you spend all of your time with Emma and her garden! You will definitely fall in love with all her flowers, the tree-house, and the overall landscape that surrounds her. This theme really takes virtual pet games to a whole new level! Sit back and enjoy Emma’s new adventure!